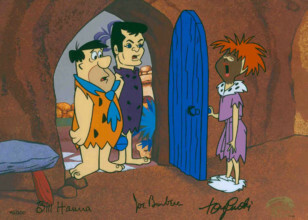 Fred Flintstone is the protagonist of the animated sitcom The Flintstones. 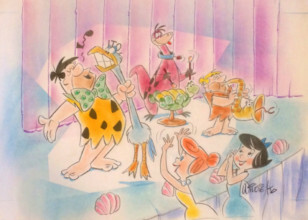 Fred is the husband of Wilma Flintstone and the father of Pebbles Flintstone. His best friends are his next door neighbors, Barney and Betty Rubble. 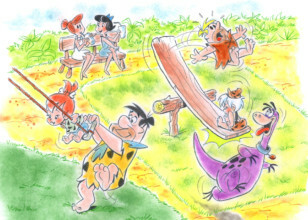 Fred lives in the fictional Stone Age town of Bedrock, a world where dinosaurs and other prehistoric animals coexist with modernized cave-people who enjoy primitive versions of modern conveniences and technology such as telephones, automobiles and washing machines. Fred's personality is based off of Ralph Kramden of The Honeymooners and Chester A Riley of The Life of Riley, both portrayed by Jackie Gleason. Much like those characters, Fred is loud-mouthed, aggressive and constantly scheming of ways to improve his lot in life, which often backfire. Also like these characters, Fred is impatient and prone to losing his temper easily. Despite these flaws, Fred is actually quite friendly, rarely acting out of malice, and often goes out of his way to help others. 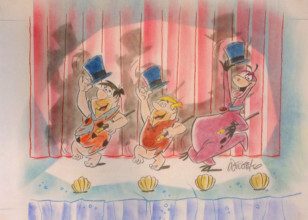 And although his antics are irritate his family and especially his wife, Wilma, Fred genuinely cares for them, does everything he can for them and apologizes when he goes too far. 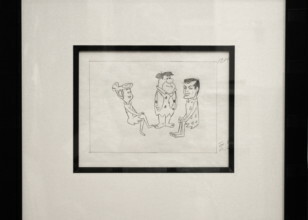 Fred Flintstone became the template for later sitcom husbands and fathers such as Archie Bunker in All in the Family, George Jefferson in The Jeffersons and Homer Simpson of The Simpsons. Fred is a blue-collar working man who primarily is employed as at the Slate Rock and Gravel company as a dino-crane operator. He met his wife Wilma when he was working as a bellhop at a resort when he was younger (Wilma was working as a cigarette girl/waitress at the same resort). 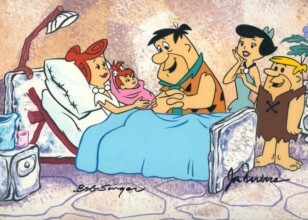 He is best friends with Barney Rubble although Fred can become easily exasperated and irritated by his friend's antics. He is incredibly skilled at bowling and golf and is skilled in poker and golf. 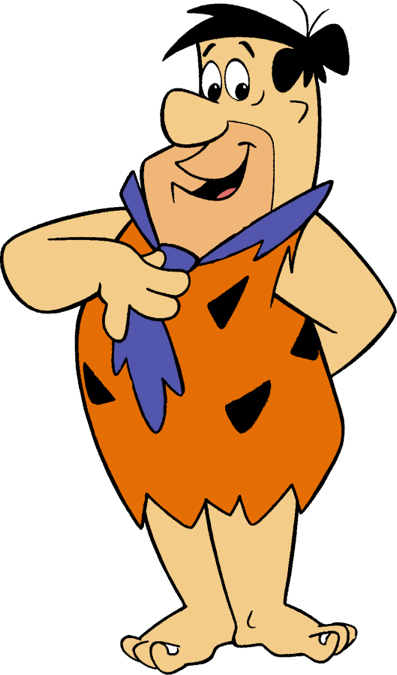 His trademark catchphrase is "Yabba dabba doo!"